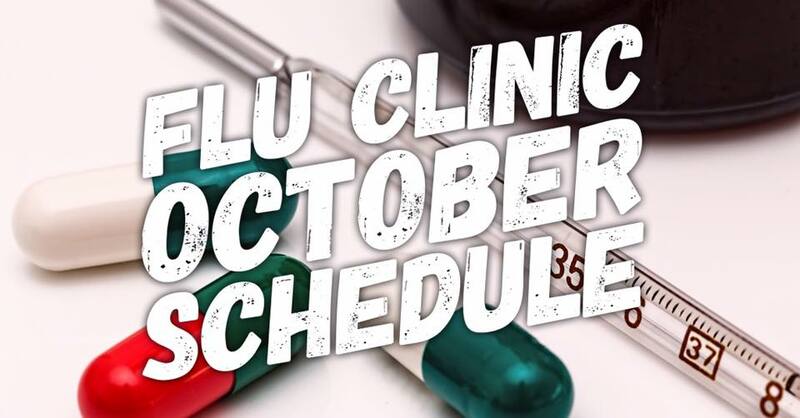 We will be starting Flu Clinics first week of October! Please remember we bill most major insurance companies, Medicaid, and Medicare. Wednesday, October 4th 8-11am and 1-6pm at our office on Whittle. All ages! Saturday, October 7th 7:30am – 11:30am at the OCC Health Fair. Adults Only! Wednesday, October 11th 8-11a and 1-6pm at our office on Whittle. All ages! Wednesday, October 18th 8-11am and 1-6pm at our office on Whittle. All Ages! Saturday, October 21st 10am – 2pm at our office on Whittle! All ages!!! Wednesday, October 25th 8-11am and 1-6pm at our office on Whittle. All ages! November’s schedule will be announced at a later date! Thank you! !